Upside of Being Outsourced - Finding Joy on the Other Side - Girl, Just DIY! Wow, could there really be an upside of being outsourced? I never thought that would be something I’d ever say. I don’t support the concept or practice of outsourcing but maybe, just maybe, there could be a silver lining. Even if you can’t see it amidst the storm. 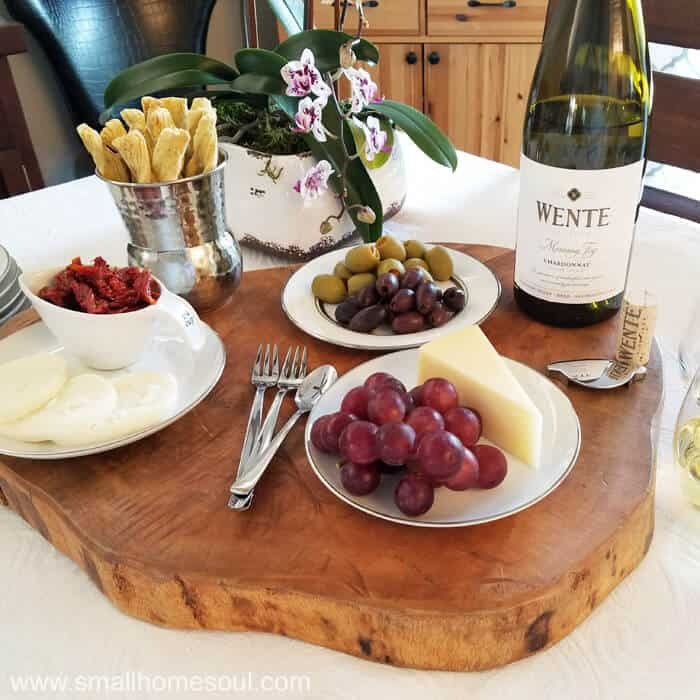 After reading the history of the Wente Family I’m inspired by their Love of the Journey. In the very early years of the winery they somehow survived the years of prohibition. Reading about their generations of hard work and successes I’m inspired to share my own Love of the Journey with you. With hard work, and sometimes adversity, we can love where the journey brings us. When I was young I never thought much about what I wanted to do for a living. My parents struggled financially through my teens so I thought I’d be an accountant because they make good money. That’s not the right motivation for a career but I pursued it, for a little while anyway. I took a few accounting courses in High School but after graduation I was more concerned with getting a full time job so I could move out, than I was about going to College. When my daughter was still a baby I joined some friends at the local community college for a few semesters but it never really clicked. Thankfully I was offered some really great job training opportunities over the years that got my feet in the doors of a few good jobs. They weren’t jobs I was passionate about but they put a roof over our heads and food on the table. After meeting and marrying my husband I started working for an IT company as an Administrator. Apparently I had an aptitude for computers and after a few years I was promoted to work on the support team. Eventually I got hired with another company and after a few years I was promoted into management. I had great managers and the best team of people working for me. We worked well together and our group had a great reputation servicing our internal customers. Still not my dream job but it helped meet our family’s financial goals. And my work life was good. Little by little upper management started making changes. Why can’t some companies ever leave good enough (actually, really good) alone? They reorganized and let some senior managers go. We lost the cohesive environment we once had. While morale declined the pressures increased. My immediate manager was moved to a new role and I reported directly to the new Sr. VP. Sadly that didn’t go well. When news of his plan to outsource was discovered it went over about as well as you can imagine. My work life went from really great to totally crazy in a blink. Suddenly instead of 6 employees I was managing over 25. Work life was no longer good. Thankfully I had great friends at work that helped keep me sane. It was the worst work year of my life. Not only was I working more hours with more stress, but I knew most of the people working for me were going to lose their jobs. I had no idea if I would be on the chopping block as well. I’d been thinking about starting a blog for a long time but with my work schedule I had no time to be creative. Sometimes you just have a gut feeling and I was pretty sure I wouldn’t be retained. Now was the time to get the ball rolling. I started doing some research, chose my blog name, bought my domain, and got it all set up. I didn’t do much with it but it was ready when 6 months later I was called into a meeting with HR. They gave us all 3 months notice of our end date. My husband was so supportive through the entire process. It was as stressful on him as it was on me. What a blessing he was, he knew the toll it was all taking on me. Sometimes we’d just sit together on the back patio, me sipping a glass of California Chardonnay while he enjoyed a cigar as we talked about the what ifs and the future. I’ve always had creative ideas, and as a young girl I would do colored pencil sketches of objects, pictures, whatever. I made initials out of clay and big floor pillows for my nephews and nieces. And I installed a shelf over the kitchen sink in a tiny rental apartment (without the landlord’s approval 🙂 ). I made curtains out of sheets for most of our homes to save a buck. All through the years I’ve stored ideas in my head and magazine pages in a folder of the things I wanted to do. I’d get unemployment for a time, and since we’d been good savers my husband agreed to letting me stay home for a bit to get my blog off the ground. Blogging isn’t easy, in fact, it’s a lot of work, and stress. Remember I prayed for less stress? Hahaha, little did I know blogging has a lot of stresses involved, but it’s different. These deadlines and learning curves are something I want, my goals and my agenda, not someone else’s. Since I’m not making a bunch of money in this new venture yet I recently started working a part time job. This job helps me bring in extra money while I grow my blogging business but I still have enough time to blog. Having this blog and being creative is without a doubt the best, most rewarding, thing I could be doing for myself. A few years ago I couldn’t see through the storm this far forward to job satisfaction and fulfillment. Now I can’t imagine I ever did anything else. We all have to start somewhere and even in my early 50s, starting over feels just fine. I’ve been blogging seriously for a little over a year but I’ve already had some successes. It takes time to get your projects circulating online but when a project gets a lot of traction quickly you know you’re on the right track. I’m not stopping, everything that’s worth anything takes hard work. And I have a lot of hard work left in me. 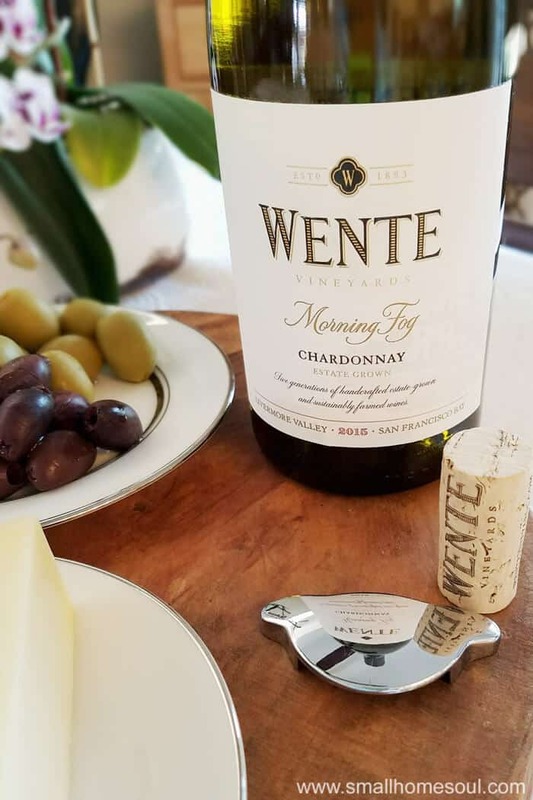 When it’s time to celebrate those successes and my hard work I enjoy a yummy glass of Wente Morning Fog Chardonnay. 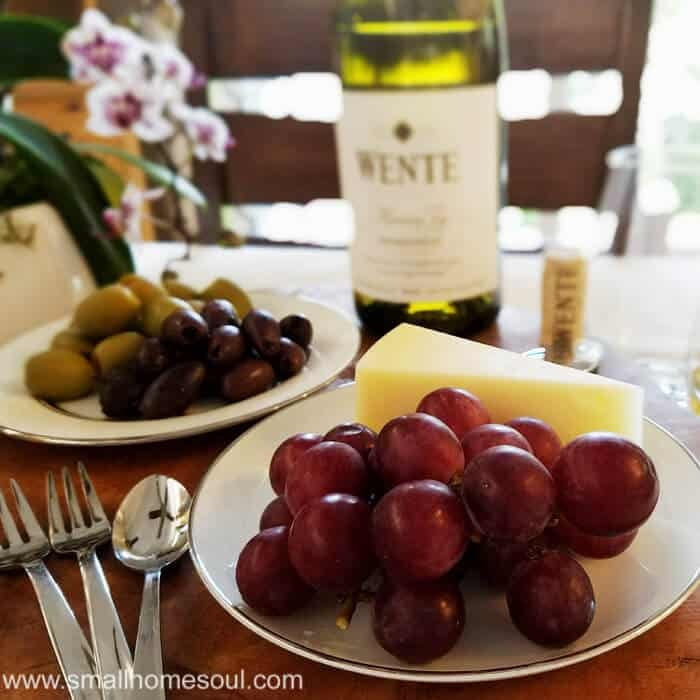 It’s very smooth and goes perfectly with grapes and cheese for a light snack after a long day of being creative. 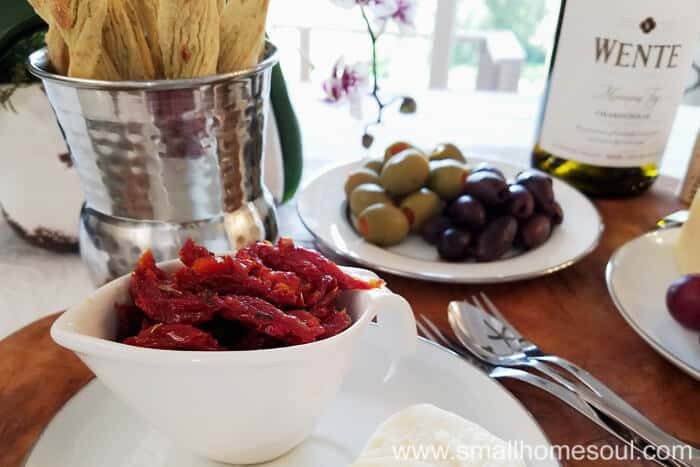 When I want to put a bigger spread together for a few friends I add in some olives and other yummy snacks that we can nibble on as we chat. 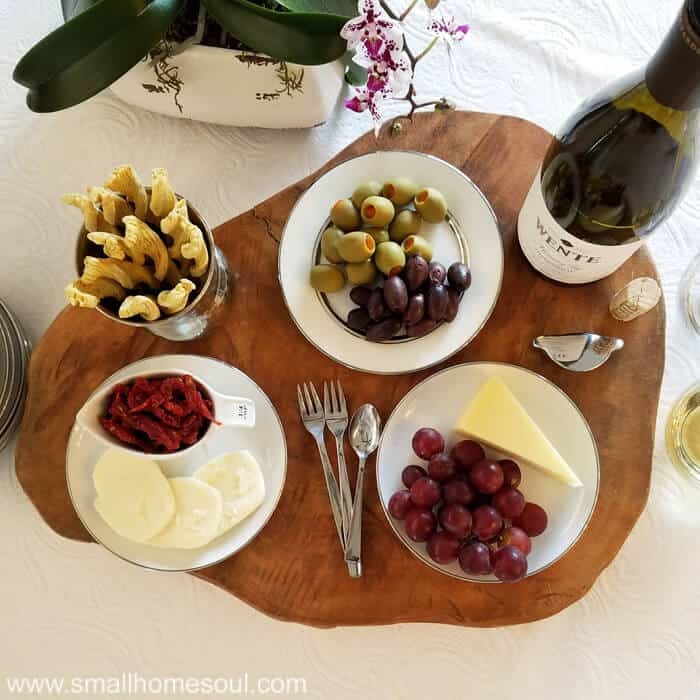 While preparing the yummy spread for this post I taste tested it all. Yes, and lots of it. A sip of wine a nibble of cheese, I mixed them up and tasted them all. It all tastes so yummy with the Morning Fog Chardonnay. 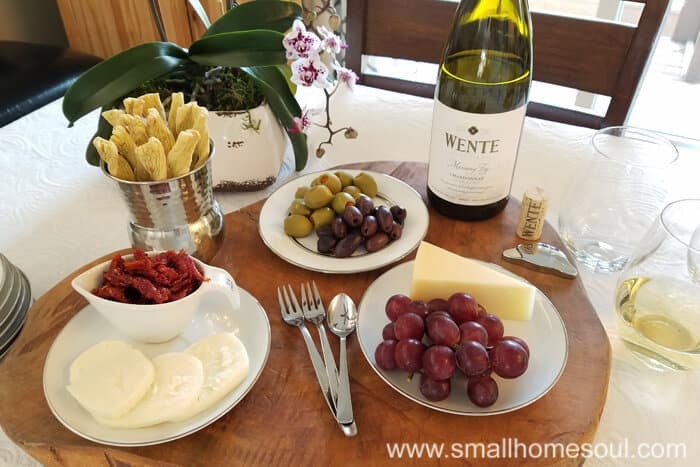 I love that Livermore Wine is so close to me and will soon take a visit to the Wente Vineyards. If you like a sweeter wine you might enjoy their Riverbank Riesling. Or check out their product page where you can learn all about the many wines they have to offer. 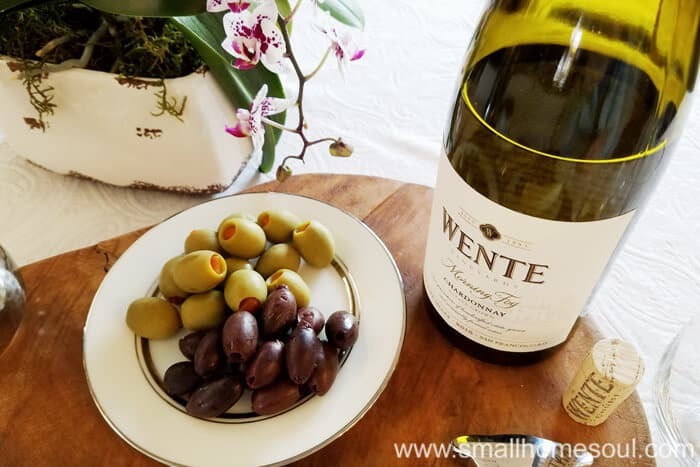 Thank you again to Wente Vineyard for sponsoring this post. And to my readers for joining me on my “Love of the Journey” reflection. I guess there can be an upside of being outsourced. What’s your story? I’d love to hear about your Love of the Journey, just leave me a comment and I promise I’ll read and reply. Toni, I knew a few bits and pieces of your story but I loved reading more about you. I’m don’t indulge on a regular basis but I do enjoy a glass of wine here and there. This is a lovely piece and your photos are amazing. Hey Susie, you are so sweet. You are a great story teller my friend! A visit to the winery with you would be so lovely and yes super fun! I am so happy that you found something fulfilling, Toni. I selfishly miss you at the office, though. 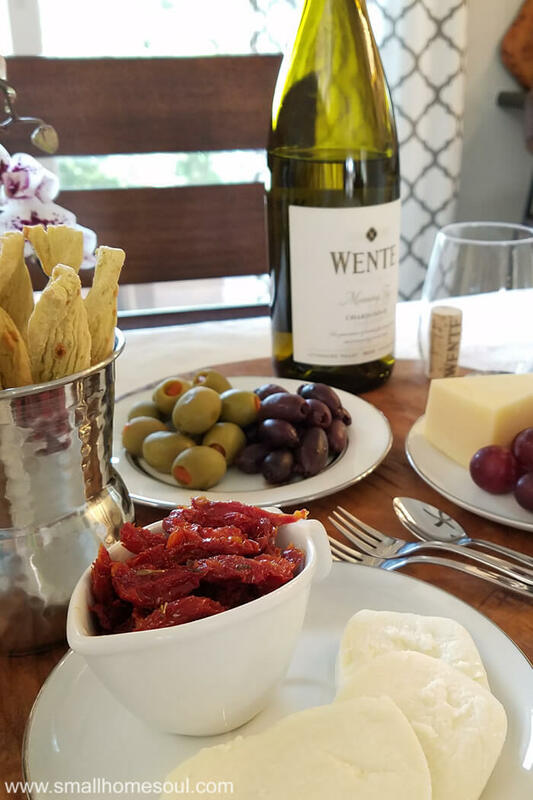 I need to make a day at Wente. The family can enjoy the winery and I’ll enjoy the golf and then the wine. Nice job Toni, the presentation is awesome and inviting. Your story says a lot in a short time, it truly speaks of your determination and creative side. Good luck with your future as your blogging Career takes off. Great post Toni and your pictures are awesome. I just wanted to sit down and have a glass of wine with you! Thank you Denise, I’ve been having to use my cell phone to take pictures since my camera is in getting serviced. I just discovered the “Pro Mode” on Samsung, you should check it out. I’ going to use it for all my process shots going forward. Toni, I love this post! It’s so true that life’s little (or big) hiccups sometimes provide a path to where we need to be. I am 50 (so crazy to say that number!!!) and have been on my own for 5 years. 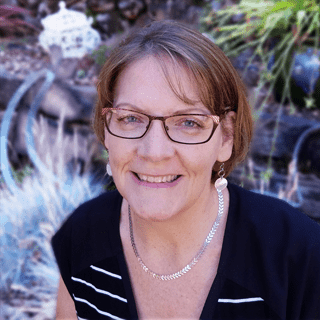 The thought of getting out into the workforce after homeschooling all of my kids and essentially starting at the bottom of the job ladder just seemed ridiculous. So I decided on blogging. It seemed right up my alley since it’s basically publishing a mini magazine style website. When I was a kid I always wanted to be a writer or a journalist. And the bonus is that I get to MAKE THINGS…that’s my favorite! I love my days, but the money is tiny right now. I am taking the EBA course to get this going. It feels good and I am learning a lot! It’s great to know that someone else is in the same boat and that you are making it work. Thanks for sharing! I never thought of being a writer but when I was in middle school a substitute told me, after a story-writing assignment, that I was a good writer. If only she’d been my every day teacher 🙂 I enjoy the story telling aspect as much as the creating. Have a great week and thank you so much for your sweet and encouraging words!